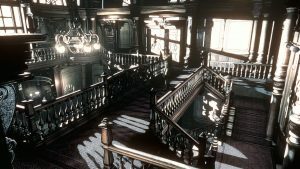 Resident evil 7 will soon be here to make sure we don’t get any sleep so I thought now would be a good time as any to rank the resident Evil series. This isn’t an official rating and to simplify matters, only the main series will be included. So spin off titles such as the Chronicles series obviously won’t count. Feel free to agree or disagree with this list in the comments section and make sure to bring a green herb with you. Launching onto the PS3 and Xbox 360, Resident Evil 5 used the third person view which Resident Evil 4 used so well. It also added a co-op mode allowing two players to journey through the game together. 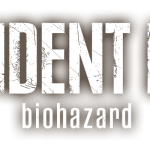 Unfortunately Capcom forgot it was supposed to be a horror game and included a lack lustre story set in a brightly lit environment that made it almost impossible not to know where the enemies were. Highlight: Trying to save Jill whilst fighting Wesker. 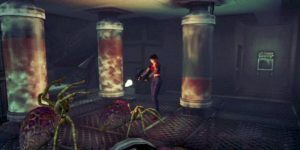 One fatal shot could accidentally kill Jill who is being controlled to fight you. Resident Evil 6 had a lot going for it. Capcom decided to include a three-pronged narrative to tie in with previous games and include heroes such as Chris and Leon. But all these different plot lines and characters just made it uneven and confusing. It’s a perfect example of quantity over quality. 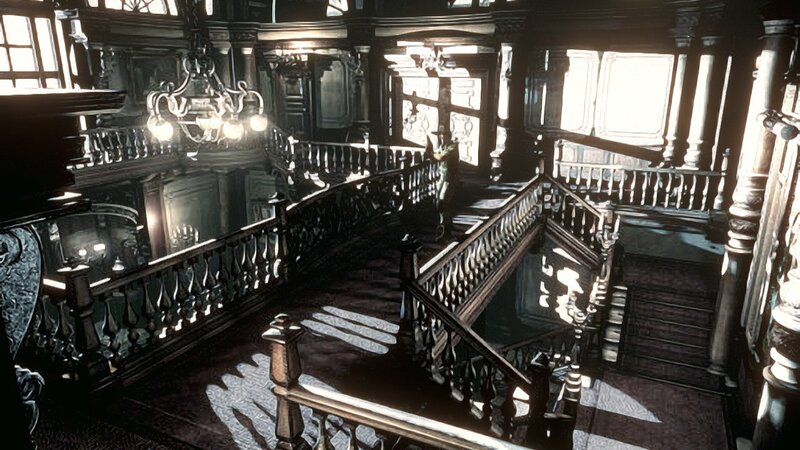 Highlight: Starting the game with Leon sends you into a level that is clearly reminiscent of Resident Evil’s classic roots and actually includes some creepy tension. 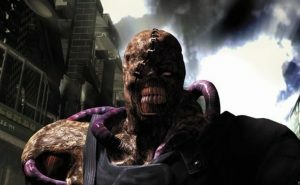 Resident Evil Zero is set before the events of the first game and includes a partner zapping mechanic that allows the player to instantly switch control to either character, leaving the other in the A.I’s control. Whilst having the game set on a train was a good concept, it meant puzzles were relatively easy to complete as areas were quite narrow. It could do with a HD remake as it does contain some awesome creepiness at times. Highlight: The ending reveals the events leading up to the mansion from the first game. It shows a brief glimpse and then makes you want to go play that instead of replaying this. Resident Evil 3: Nemesis doesn’t really have much going for it…except for an unstoppable monster that can track you down and appear without warning at any time to try and kill you. This alone puts the player on edge throughout the game. 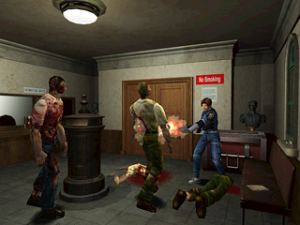 The pre-rendered backgrounds looked the best they could and it included a player choice system allowing the player to make certain choices that could affect the outcome whilst in danger. Highlight: Pretty much every Nemesis encounter. His unstoppable onslaught meant players have to think fast in order to survive. 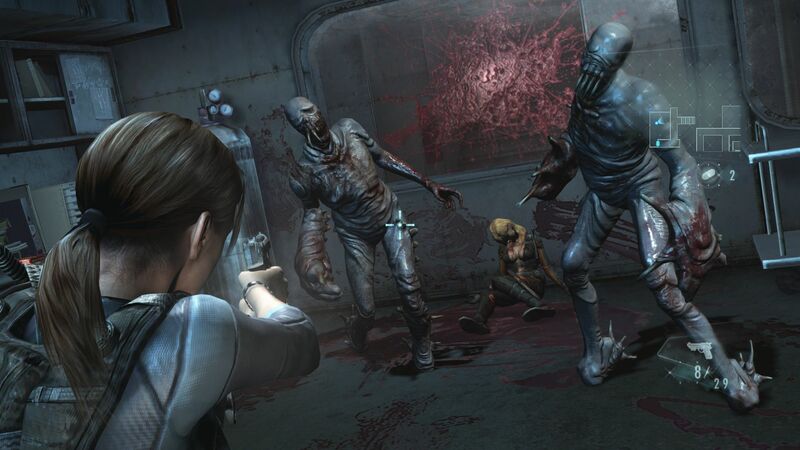 Resident Evil: Revelations began life as 3DS title before making the leap onto home consoles. Taking place inside a cruise liner helped capture the spooky atmosphere where other entries failed. It allowed players to finally run and shoot. With the use of sound, lighting and shadows, every turn of a corner could mean impending doom. And it was great! Highlight: Boss battles don’t get much scarier than the one against Racheal Foley. She crawls through air vents whilst screaming in agony. It’s more than enough to send shivers down your spine. You almost feel sorry for her, almost. Highlight: In search of your companion you come across something unhuman that slowly turns to face you with a deadly mesmerizing stare. Say ‘Hi’ to your first encounter with a zombie. First released on the Sega Dreamcast, Code: Veronica replaced the usual tradition of pre-rendered backgrounds with 3D environments and objects. 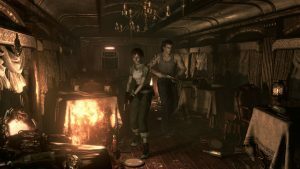 Set on an island, it followed Claire’s journey after the events of Resident evil 2. Whilst voice acting was still somewhat corny and amateur, the narrative was well paced and the story was more engrossing than ever. It still managed to throw some unexpected jump scares at the player and contained unique boss fights that had you defeat them under certain conditions. Highlight: Finishing the game as Claire to find out that her brother Chris had made his way to the island, thus setting up a whole new game with stronger enemies. Resident Evil 2 was the ‘Aliens’ of the franchise. It took everything that was great with the original and out done it. 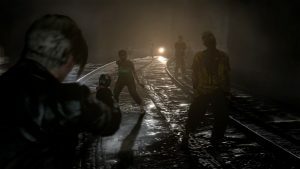 Players took control of either Leon or Claire, where each character had their own version of events basically doubling the life of the game if player wanted to discover the full story. It somehow managed to create amazing set pieces but without losing any sense of horror. 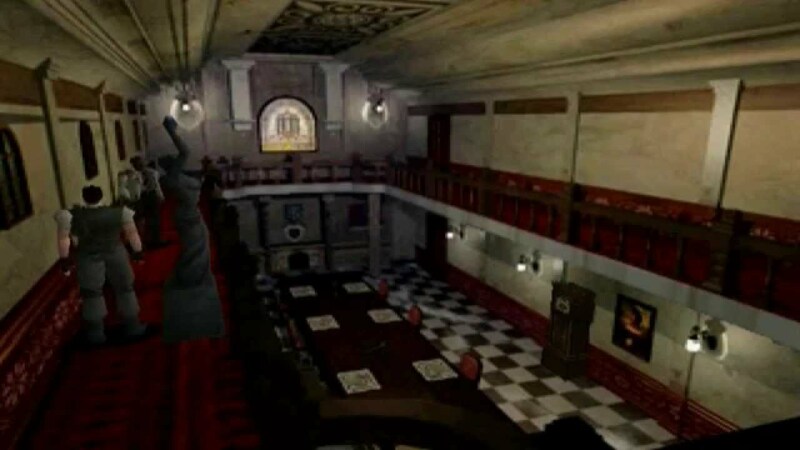 Even setting the first part of the game in the streets of Racoon City still created a claustrophobic feeling. Highlight: Being chased down a subway tunnel by a giant alligator. The camera angle cleverly showed the stalking alligator chasing you increasing the fear and tension. This is where a grenade launcher is best used. 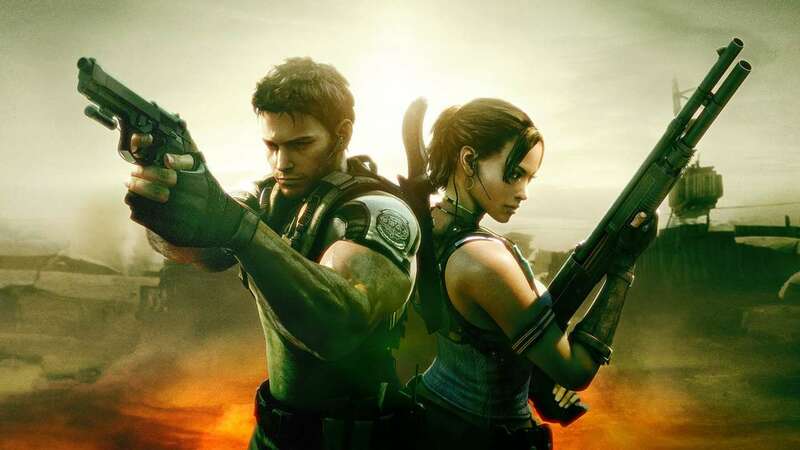 Reinventing the series once again, Capcom struck gold with Resident Evil 4 which could have turned away long term fans for good. Luckily it improved on previous entries, deciding to opt with an over the shoulder third person perspective, allowing the player to view their surroundings easier. 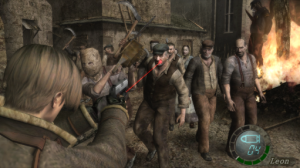 This view also helped with the aiming as Resident Evil 4 focused more on action rather than puzzle solving, although it still had moments of horror. Highlight: Leon arrives in a small village and then suddenly finds himself trapped in a house and outside lurks a local with a sack on his head revving up a chainsaw to come kill you. The brutal death scenes that accompany this villain is enough to cause nightmares. The Gamecube version of the original created the definitive version of a classic. It introduced better quality graphics and new areas. It allowed players to defend themselves with daggers when grabbed by a zombie. I t was relatively similar to the classic, but amped u the tension with the inclusion of ‘Crimson Heads’. These are basically Zombies that come back faster and stronger after a short while. They can only be permanently killed by fire, which the player is limited to. Highlight: The boss battle against an Umbrella test subject ‘Lisa’. Like Nemesis she appears and hunts down the player. Much like Nemesis, Lisa can not be killed. She can be knocked to the floor which gives the player some time to retreat but she will be up and standing before long ready to kill you. Previous article Fans Love For Sega Will Never Die! 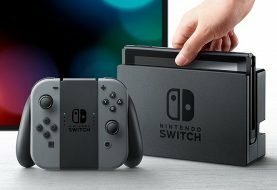 Hi, I'm currently studying Gameplay Design and Production at University in the UK. 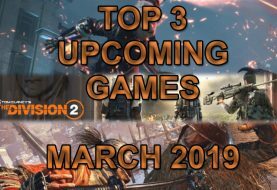 When I'm not studying or playing games till early hours I will instead be writing about them on GameTradersUSA. 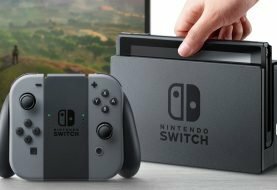 Feel free to follow me @Greycloud777 if you have any comments and be sure to visit GameTradersUSA for up to date gaming coverage!